I asked my friend for a recommendation for a bar in San Francisco and she recommended Smuggler's Cove, a pirate-themed bar in Fillmore. It is pretty popular, so expect a wait. My friends and I arrived around 8 or so and we had to wait about 15-20 minutes to get in. It is a very small place, but there are 2.5 floors the main floor and the basement have bars and the third-ish floor is a loft with about 20 seats. It is very crowded and is, as a result, pretty noisy. We first went to the basement and ordered our drinks. It takes a bit of a wait to get the drinks. There are only 2 bartenders for a large group of people. They mainly serve rum-based cocktails and there about 70 to choose from, but there are a handful of cocktails made with other liquors. The list is extensive, so be prepared to read a while. The prices are pretty reasonable, around $10-$15 per drink. 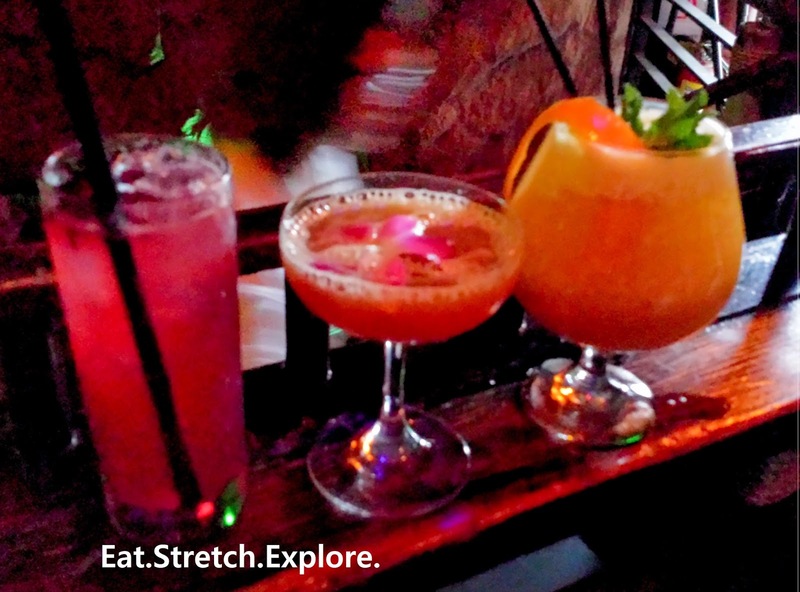 We ordered (left to right) the hibiscus rum punch, Kona cocktail, and sidewinder. Later, we ordered at the first floor bar. There were only 2 bartenders here, too. We also ordered the "Top-Notch Volcano" (below) (serves four). It consists of pineapple, lime, passion fruit, maraschino liqueur, and Private Reserve rum. 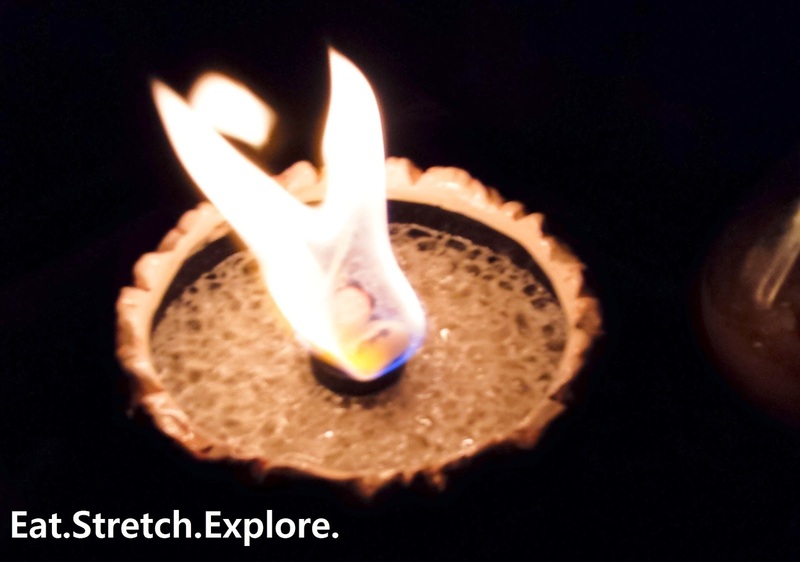 It comes with a flame in the middle. In order to get order this, you must have a table, for obvious reasons. The other parties around us were seemingly jealous of us and then went to the bar later in the night and ordered the same thing. The bartender will ask to keep your credit card and you have to pre-pay. You get your card back when you return the bowl. Not going to lie, I was a little worried that the atmosphere was going to be cheesy, but I trusted my friend's taste and her recommendations have never steered me wrong, so we just went for it. It is pretty dark inside, but it adds to the cove theme. 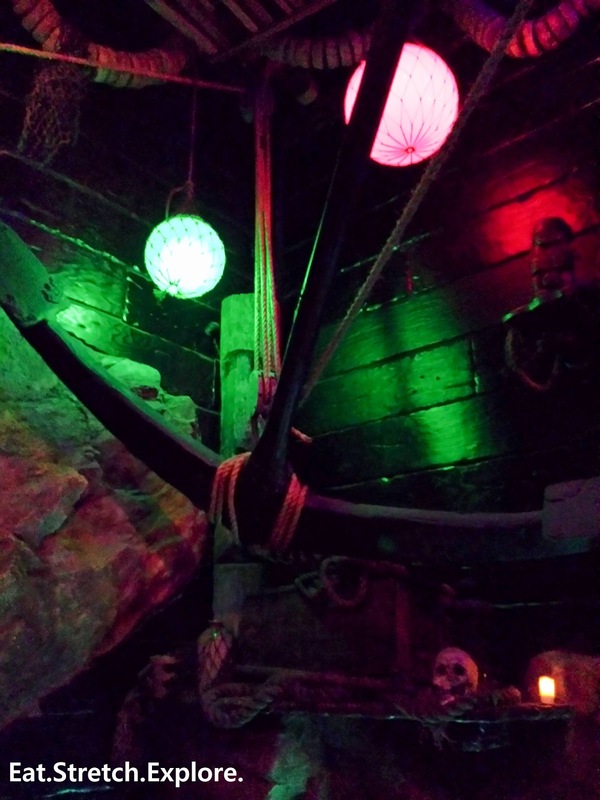 They also have pirate-y decorations throughout. The basement level seemed to be the most intimate and quietest. The third level seems to be best for group gatherings. We are about a 10 minute walk from the Muni Metro Van Ness station served by the J, K, L, M, N Metro lines. We are also about a 10 minute walk from the BART Civic Center station.